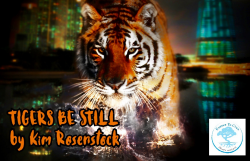 TIGERS BE STILL is a comedy that follows the misadventures of Sherry Wickman, a young woman who has recently earned her masters degree in art therapy only to find herself moving back home with her family, sending out countless résumés and waiting for the job offer that never comes. Unemployed and overwhelmed, Sherry retreats to her childhood bed and remains there until an unexpected employment opportunity gives her a renewed sense of purpose and hope. Now if only her mother would come downstairs, her sister would get off the couch, her very first therapy patient would do just one of his take-home assignments, her new boss would leave his gun at home, and someone would catch the tiger that escaped from the local zoo, everything would be just perfect. © by Essence To Crux, etc.